The 40 Under 40 awards were presented at IMX in St. Louis, Mo., May 22. This week, we recognize Raleigh Bourg Jr., Michael Brown, Erik Cooper and Kasey Eckstein. Those interested in nominating individuals for the 2019 “40 Under 40” award will have a chance to do so later this year. 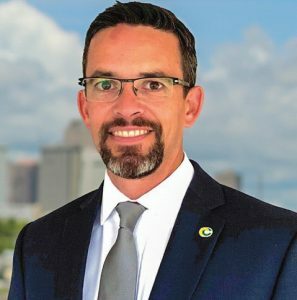 Raleigh Bourg Jr., 38, holds two positions with separate marine companies, Darbor Marine LLC and Bourg Marine Inc., where he is partner and president respectively. He worked at Air Products & Chemicals Inc. for several years in various roles prior to his introduction to the marine industry. With Darbor Marine, Bourg oversees the operation of the company’s barge and towing outfit, which is used to support oil field and inland waterway transportation. He successfully increased the company’s revenue by 50 percent during his first year as partner by adding services to improve customers’ operations. He also helped rebuild three pushboats and two barges valued at more than $2 million at a cost of $1.3 million; the projects have incurred 20,000 man hours with zero lost-time incidents. As president of Bourg Marine, he consults with maritime operators to achieve asset goals and complete capital projects. Bourg is directly responsible for more than $29 million in sales of capital assets. He also managed more than $13 million of projects, including deliveries and refurbishment of assets. Bourg is a member of the New Orleans Business Alliance and the Louisiana Economic Development, and a volunteer with Red Cross and Big Brothers of America. 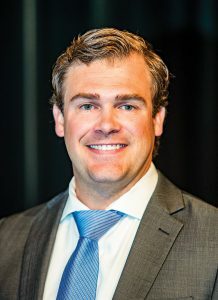 Michael Brown, 32, area senior vice president and regional director-marine group for Arthur J. Gallagher, has been with the company for nine years. 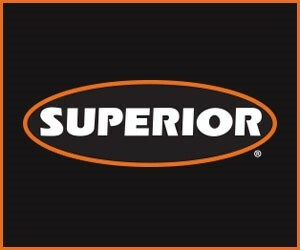 He assists the company by helping to manage its 175 operations on the inland rivers, Great Lakes and Gulf Coast. Brown received his degree in finance, risk management and insurance at Missouri State University. Arthur J. Gallagher is an international service provider that plans, designs and administers an array of customized, cost-effective property and casualty insurance and risk management programs. Brown operates out of the company’s St. Louis, Mo., office. 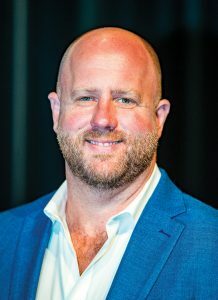 Erik Cooper is the executive director for Cooper Consolidated LLC, where he is responsible for the overall leadership and management of a midstream stevedoring, marine and logistics company based in Mandeville, La. He is a graduate of Florida State University, where he received a bachelor’s degree in international affairs. He was commissioned as an infantry officer in the United States Marine Corps, where he served for over six years. While a Marine, he was deployed to Iraq, Haiti and Southeast Asia. Upon leaving active duty, he went on to successfully manage liquid and dry bulk terminals while also earning his master’s degree in business administration. He has served as general manager in different marine roles with Consolidated Grain & Barge (CGB) before being named managing director of northern marine operations when Cooper/T. Smith and CGB combined most Gulf operations into Cooper Consolidated LLC. 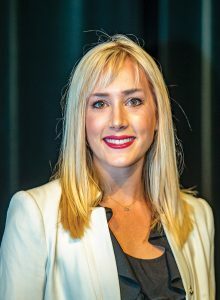 Kasey Eckstein, 27, is the director of outside sales and business development for Marquette Transportation Company LLC in New Orleans, La. She also is skilled at logistics, freight transportation, boat chartering, cold calling and networking. Eckstein, who received her bachelor’s degree in business and corporate communications from the College of Charleston, formed Women in Maritime Operations (WIMOs) in 2017. WIMOs is a non-profit, federal 501c3 organization for which Eckstein is president. The organization is dedicated to retaining, advancing and promoting women in the maritime industry through sharing knowledge and continuing education. Today, WIMOs has more than 100 members across 38-member companies. Eckstein hopes to expand the organization to Houston, Texas, next. In addition to WIMOs, she is the youngest board member of The Mississippi Valley Trade & Transport Council.